"The American Artists Congress which was founded to oppose war and fascism and to advance the professional interests of artists, at its last membership meeting on April 4, endorsed the Russian invasion of Finland and implicitly defended Hitler's position by assigning the responsibility for the war to England and France. Abstract Expressionist Robert Motherwell later recalled that Schapiro was one of the reasons he came to New York. Motherwell enrolled at Columbia University in September 1940 - the same year that Schapiro and his group resigned from the Artists' Congress. "It was in order to study with Meyer Schapiro that I came to New York, which was the single most decisive factor in my development. He introduced me to European artists in exile here from the war in the 1940s, and this was the second most important factor in my orientation. I have great admiration for him as a sage, though I disagree with him on some judgments. I admire him as an irreplaceable man and as an extraordinary representative of the unique greatness of New York City." Other Abstract Expressionists to benefit from Schapiro's "judgments" were Jackson Pollock and Willem de Kooning. 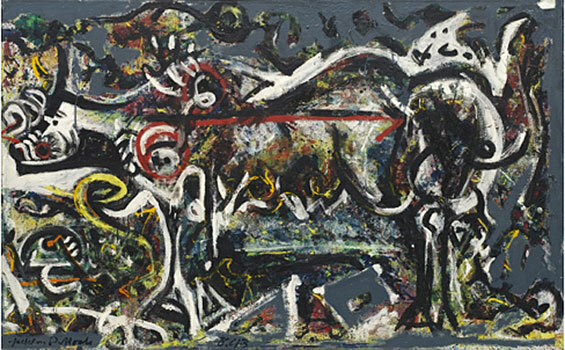 When, during the early 1940s the Museum of Modern Art was considering purchasing Jackson Pollock's The She-Wolf, Schapiro, who was on the acquisitions committee, voted in favour of acquiring it. 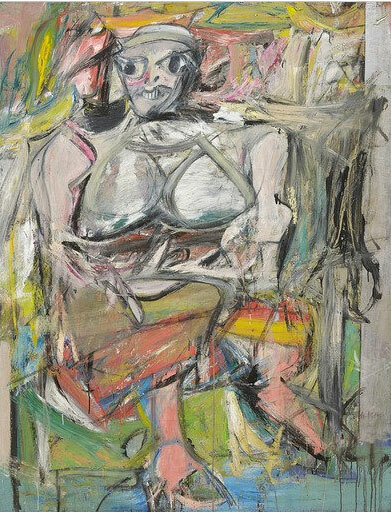 (JG245-6) In early 1952, when de Kooning stopped painting what would become a key work, Woman I, it was Schapiro who encouraged him to finish it. 6' 3 7/8" x 58"
During the early 1950s Harry Abrams published separate monographs by Schapiro on Van Gogh and Cézanne. The monographs are still in print - Van Gogh can be found here; Cézanne here. Many of Schapiro's other writings on art would were by George Braziller as a four volume compilation beginning in 1977 with Romanesque Art. The second volume, Modern Art: 19th and 20th Centuries was published the following year and Late Antique, Early Christian and Medieval Art in 1979 . The final volume, Theory and Philosophy of Art: Style, Artist and Society was published in 1994.